Blogger is free and will always be free, but when your blog starts getting decent traffic and popularity, you'll realize that you should set up custom domain for your blogger blog. 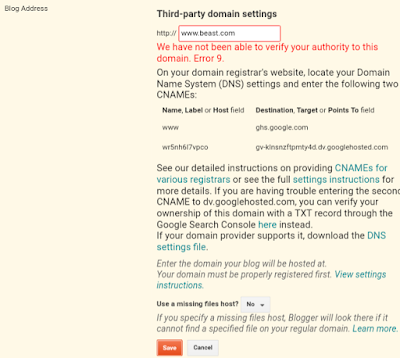 Here's A-Z Guide to set up custom domain in blogger. Domain names are actually cheap: Most newbie bloggers have a common notion that buying a domain may burn their pockets, but that's actually wrong. you could buy domains for as cheap as 2-3$. Branding : Once your blog has enough following, people would be trying to access your blog directly like entering example.com( They usually remember blog's name not domain) in browser instead of googling, you'll lose the audience there if you don't own the domain. SEO: It's not that free subdomain blogs won't rank well in search engines, but when it comes to building natural backlinks, free subdomain blogs take a hit, People think thrice before giving a backlink, as giving backlink to lower quality site could affect their site as well. And Don't Worry about Migration affect on SEO, Your rankings won't even move a bit. Choosing right domain name is not always important but is preferred, There are hell lot of blogs with random domain names which are ranking for tons of keywords. But it's always preferred to select domains which relates to the niche.Well i don't who cares? Eg: If your're choosing shoes as the niche, something like bestsportshoes.in would be great. It's preferred to include one keyword and one general one, so people could remember easily. When it comes to Choosing domain extensions, It Depends on the geography of your audience, if it's a blog limited to india, it's better to go with .in, if it's general one you could go with .com or .net. You could also choose random extensions if you're confident of your seo skills. 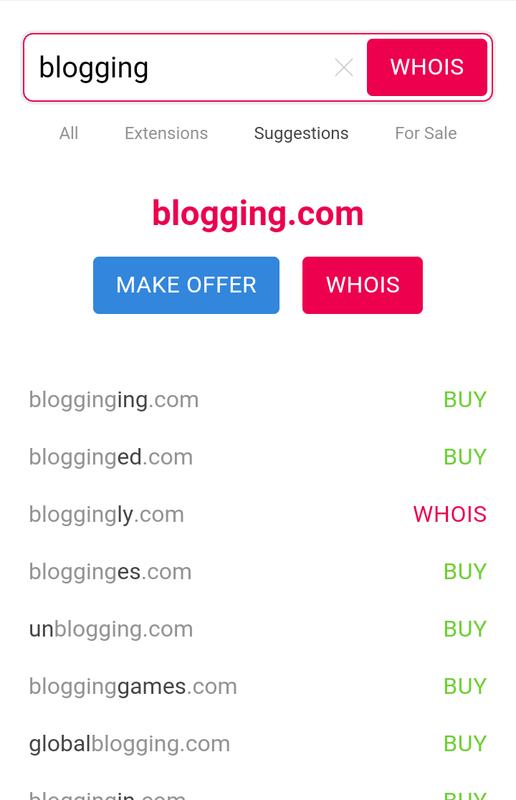 When it comes to buying domain name, I would recommend you to check available domains on Domain search by entering the important keywords of your blog's niche. Upon searching by keyword, you could find the most relevant domain names. Ones which's marked as who's are already bought and others are available to buy. You could also make use of Domainhole to find expired domains with good domain authority. Upon purchasing the domain from domain name providers, you need to redirect your Blogspot blog to custom blog, here's how you should do it. Upon clicking, you'll be asked to enter the New URL in www format. When you click on save button, you'll be shown an error " We have not been able to verify your authority to this domain error 9"
You'll be asked to verify your domain name by entering CName provided by Google in your domain. Now you can login to your domain, Click on the domain name you purchased, Now go to DNS Zone or DNS Settings. Click on Add record. 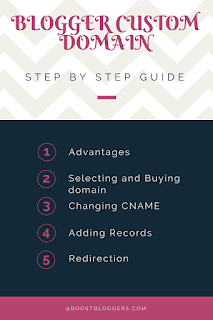 Select CName, Now Copy the name and destination record from blogger and create CNAME Records Accordingly and save it. You can add all 4 IP Addresses in similar way, Upon saving, Blogger takes around 1 hour to Verify the records, Upon which the error in Blogger will be resolved. 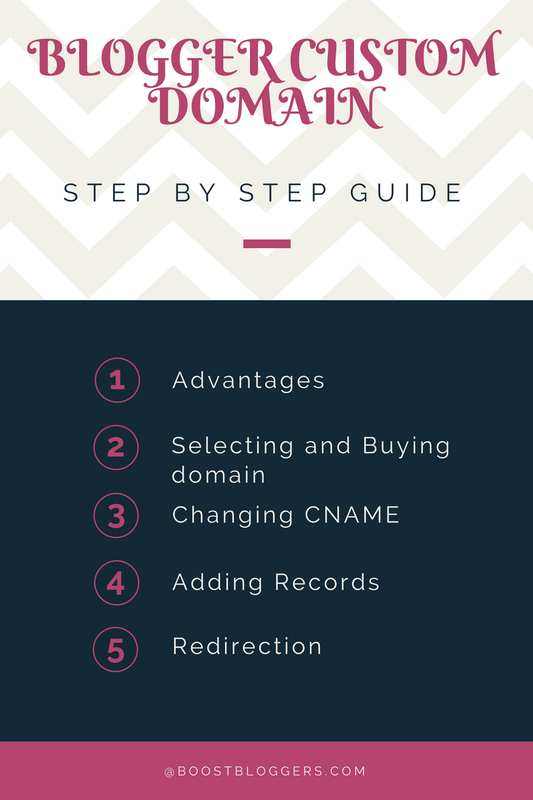 Redirection is the last and final step of setting up custom domain for your blog, This is to ensure that non www version of your domain redirects to www version. In Blogger Dashboard, You'll be asked whether you want toredirect non www version to www version, ticking it and saving it is the final step to ensure redirection. 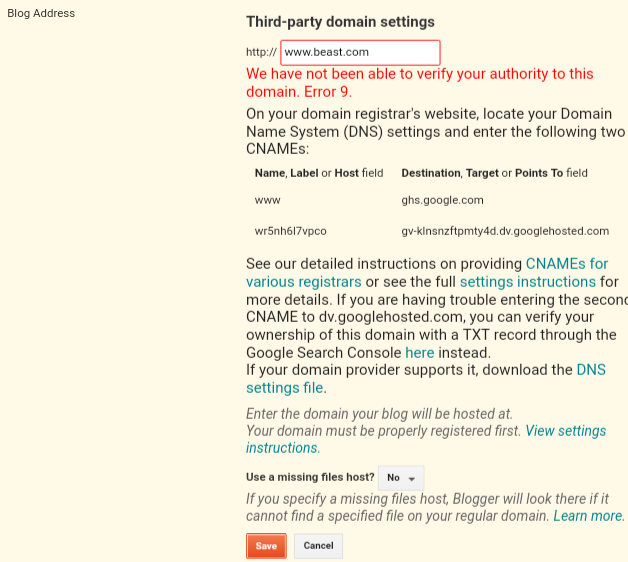 There's Bug for Some Domain Providers such as godaddy, as a result users will be not be redirected, but shown an error message upon entering non www version of your domain even after enabling the option in Blogger settings. To solve this, you can set up domain forwarding, Head up to Domain Forwarding section in domain place and enter redirect URL as www version of your domain. Finally your Blogspot Blog is completely redirected to custom domain, all of the articles are automatically redirected to custom domain URL. After few days, you can also set up https version on your custom domain for free. Heading on to settings> Basic settings you can see these two options, You can select yes for both HTTPS Availablility and HTTPS Redirect to redirect users to HTTPS Version of your custom domain. If you face any kind of Problems or Have Any doubts, you can ask it in comment section, I will reply to them.